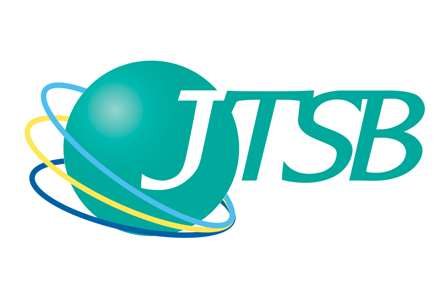 JTSB adopted the following symbol as part of consolidation of our organizational foundation in March, 2012. We make use of it for publicity activities as our visual identity. -will to carry out investigation into the causes of accidents, and promote prevention of the occurrence of accidents and mitigation of the damage, and global activities to contribute to worldwide transport safety through international cooperation. Three lines respectively express air, land and sea. The color of the sphere is an intermediate color between blue and green, which expresses safety.